Interest in waste-based fuels is growing, powered by a global low-carbon agenda and the UK’s own climate change targets which require greenhouse gas (GHG) emissions from domestic transport, energy and waste to be close to zero by 2050. In recent months, the Government has identified waste feedstock as a potentially valuable fuel for sectors that are difficult to decarbonise. In October, the National Infrastructure Commission (NIC)’s interim National Infrastructure Assessment report noted that biogas derived from waste could help reduce emissions from heat and transport, “where the challenge is greatest”, by using it as fuel for freight transport and aviation. According to the government, low-carbon transport fuels made from waste materials could be worth £600 million a year to the British economy by 2030, while supporting up to 9,800 jobs. The Department for Transport (DfT) has announced a £22 million fund for projects to develop these types of fuel for planes and trucks, which are too heavy to use electric power. The DfT’s own analysis suggests aircraft and lorries powered by waste fuels could use up to 90% less carbon compared to traditional fossil fuels. Government has since launched a ‘Future fuels for flight and freight competition’ to help establish advanced fuel production facilities across the UK, including plants producing biofuels from municipal solid waste (MSW). However, this is not without its challenges – advanced biofuels made from MSW are not yet being produced in commercially significant volumes in the UK. So, what's holding their development back? “The current low oil price, technical challenges around conversion of the waste and risk aversion of truck and aero engine manufacturers to allow biofuels to be used in their products are three of the main barriers holding back commercial roll-out,” says Mark Ramsay, waste to energy knowledge leader at Ricardo Energy & Environment. “For MSW specifically, the biogenic content of MSW is currently around 50%, which may make it difficult to achieve the required GHG savings. Also conversion of a difficult waste feedstock such as MSW into aviation fuel or biomethane or biodiesel still has to be proven at scale,” he adds. Ricardo has fed into an independent feasibility study for the DfT as part of the future fuels competition. The study highlights various technologies where MSW could be used as a feedstock – these include gasification, pyrolysis and other biochemical processes such as lignocellulosic (LC) ethanol. Both gasification and pyrolysis have been slow to take off in the UK waste market, as Dr Carlos Ludlow-Palafox, CEO of Enval, points out. “It doesn’t help that companies developing pyrolysis and gasification have in many cases over-promised and under-delivered in the last three decades,” he says. 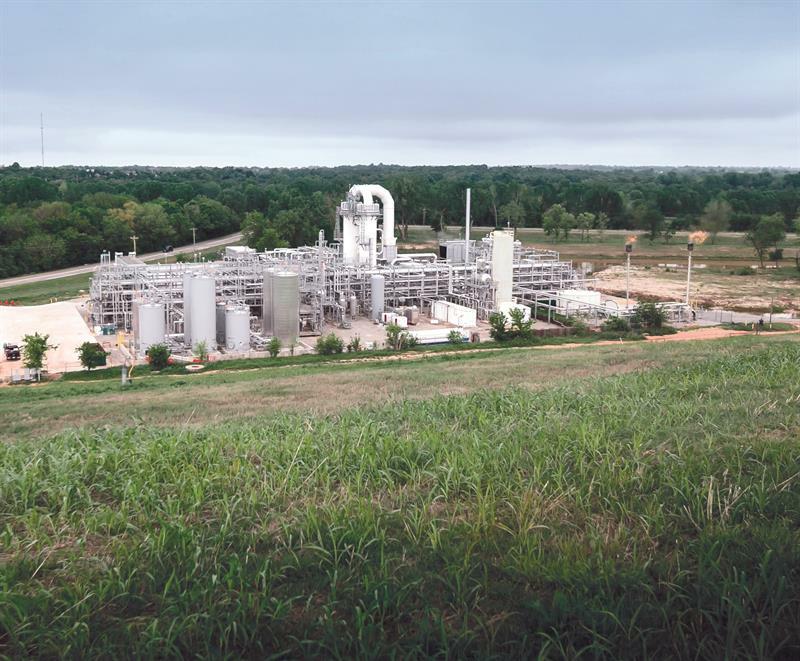 Ludlow-Palafox believes one reason for this is because operators haven’t given enough attention to effective upgrade of the primary products from these thermochemical conversion processes into transport fuel. “In my opinion, that is not going to happen until the petrochemical industry gets involved in the development process,” he says. The DfT feasibility study acknowledges the upgrade process to be a challenge. It notes “a consistent syngas quality, produced reliably and efficiently from different biomass and waste feedstocks, meeting the syngas requirement of the catalytic synthesis upgrading steps needs to be achieved”, and states that for pyrolysis, the “main barriers relate to [the] pyrolysis oil upgrading step”. “In the long run, for MSW I think pyrolysis is the most promising one simply because it is more resilient to variations in the feedstock,” says Ludlow-Palafox. However, he adds that investment will be required to develop technologies capable of upgrading pyrolytic oils into transport fuels. One British gasification-based project that might yield promise is a new partnership involving British Airways, Suez, Velocys and Norma. The consortium is looking to pioneer a commercial-scale waste-to-jet-fuel plant, producing fuel that could deliver GHG emission reductions of over 60% compared with conventional aviation fuel. The technology employed at the facility will consist of several process stages. First, incoming waste will be prepared for gasification and converted into a syngas. After cleaning, the syngas will be used to synthesise hydrocarbons, to be further refined into jet fuel. The planned plant will produce enough fuel to power all British Airways’ 787 Dreamliner-operated flights from London to San Jose, California and New Orleans for a year, while contributing to the airline’s commitment to reduce net emissions by 50% by 2050. Velocys, which is the technology provider, is leading the initial feasibility stage of the project, for which all members of the partnership are providing funding. “The precise size [of the plant] is to be confirmed, but it will be in the order of a few hundred thousand tonnes of waste per year, and 30,000 tonnes of fuels produced. Should this plant be successful, this could be the first of several in the UK,” says Neville Hargreaves at Velocys, project lead for the partnership. Suez’s role in the project is to provide technical and operational expertise, and also manage feedstock supply. Stuart Hayward-Higham, technical development director at Suez UK, says the feedstock specification is still “subject to works”, but acknowledged this would be an important factor in achieving a quality syngas, along with the gasification technology used and any subsequent gas clean-up prior to the fuel production phase. The NIC National Infrastructure Assessment report also highlights the importance of gasification in providing bio-hydrogen or biomethane for electricity and heat. In Swindon, construction is under way to build a £25 million commercial demonstration facility to produce BioSNG (bio-substitute natural gas) from household waste. The feedstock will be refuse-derived fuel (RDF) produced from MSW collected in the catchment of Swindon Borough Council. The plant is being built by a consortium of partners – Advanced Plasma Power, Progressive Energy, Wales & West Utilities, CNG Services and Cadent. “We believe that this will be the first commercial plant in the world to produce BioSNG from municipal waste,” says David Pickering, BioSNG project manager at Cadent. Cadent, along with Advanced Plasma Power and Progressive Energy, have already built a £5 million pilot plant to successfully demonstrate the technology. Once operational, the new larger facility, which will produce 22GWh of gas per annum, will not only help fuel a fleet of 40 trucks for a local logistics company but also supply gas to homes and businesses.